Teaching always makes a difference to the students. Deciding where you want to teach is important if you consider what you would like your teaching to do. Teaching abroad is interesting because it requires teachers to experience an added level of discomfort because they live in a foreign country, sometimes for the first time, and their professional development is closely connected to their personal development. There are of course many opportunities to make a difference in the U.S. and much need for great teachers. Still, there are students eager to learn from you all over the world, especially now that English is a de facto language of international communication, of one of the most popular film industries, and of much of the Internet. Over the past twenty years, many jobs for teachers of English as a foreign language have become available all over the world. Most of these jobs are in private schools, colleges, and universities. It is unclear whether such jobs can be considered careers. Most contracts are for one or two years and they are often renewable. These jobs are not guaranteed, however, and it is important to keep in mind that it may be impossible to plan on continuing to work and live in the same country beyond the duration of the contract. These jobs generally pay very well. They are often taxed at a different rate as well. For those who land a job in a country whose teachers get paid well, these jobs may be a great opportunity to pay down their student debt and maybe even to save some money up. Since English has become a language of international communication, English teachers are usually treated very well, respected by the community, and appreciated by the students. As the move abroad is usually quite complicated, the application procedures tend to take a long time. 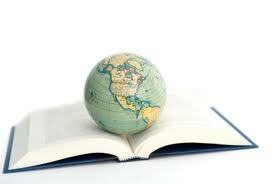 Anyone interested in teaching abroad should do their research and make their plans well ahead of time. It is also crucial to consult with those who have had similar jobs in the past because their experience can be useful in shaping your own expectations and preventing disappointment. Laurence, a friend of our program and a former teacher in Japan, shares in great detail his experience and suggestions about teaching and living abroad. Making personal contact with participants in these programs is crucial when deciding whether to move abroad in order to take a job in an unfamiliar place. They will share their experience and give you information you will appreciate. Your own research and sound judgment will be critical to the success of these kinds of opportunities. 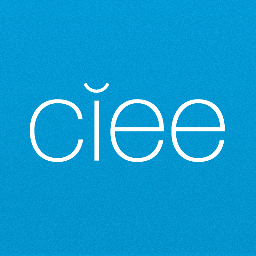 CIEE Teach Abroad takes teachers to China, Chile, Dominican Republic, South Korea, Vietnam, Spain, and Thailand. Teaching English in one of these countries, the teachers become a part of an international community, learn how to live in a foreign place, establish new contacts, show others what their English-speaking culture is about, build their resumes, all the while making enough money to support their adventure. General requirements are a bachelor’s degree in any subject and “a kind, patient, and enthusiastic attitude that will inspire students.” Details of the programs in various countries vary. Online applications are received on different deadlines for different programs. Check their website for program comparisons. Japan Exchange and Teaching Propgramme (JET) aims to “promote grassroots exchange between Japan and other nations.” Most participants are placed in publ ic schools or local boards of education where they assist for at least a year with classes taught by Japanese teachers of Engl ish, preparation of teaching materials, and extracurricular activities. Application for this program is long and competitive. It is conducted by the consulates of Japan who send their representatives to college campuses. The application cycle starts in September; check with JET directly for the full timeline of their selection process. 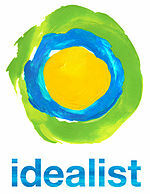 Idealist is an organization that maintains a database of jobs worldwide for people who are interested in contributing to social justice. You can start from their Career Center, where they offer general advice on steering your career internationally, and then you can refine your job search to focus only on education and positions for which you meet the requirements.